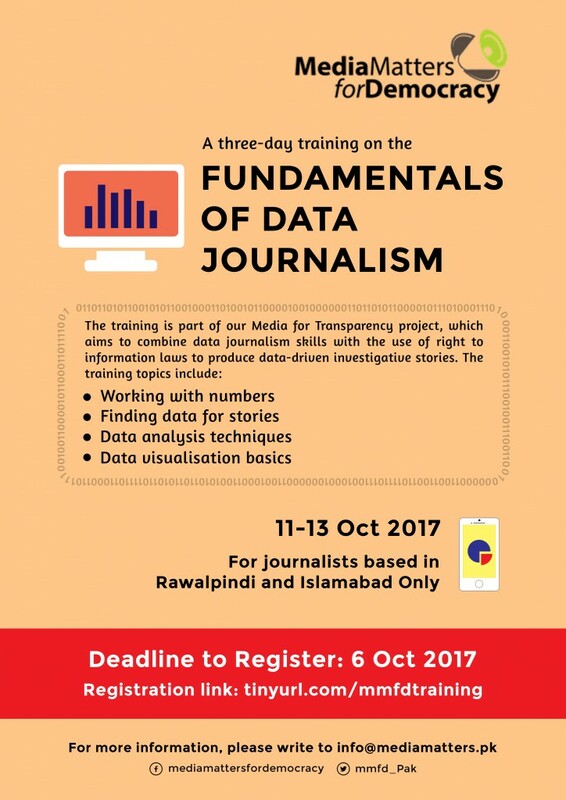 Media Matters for Democracy, under its initiative Media for Transparency, is offering a three-day data journalism workshop which will bring together a group of 11 journalists in each of four cities (Peshawar, Islamabad, Lahore and Karachi) for an extensive, free data journalism course. 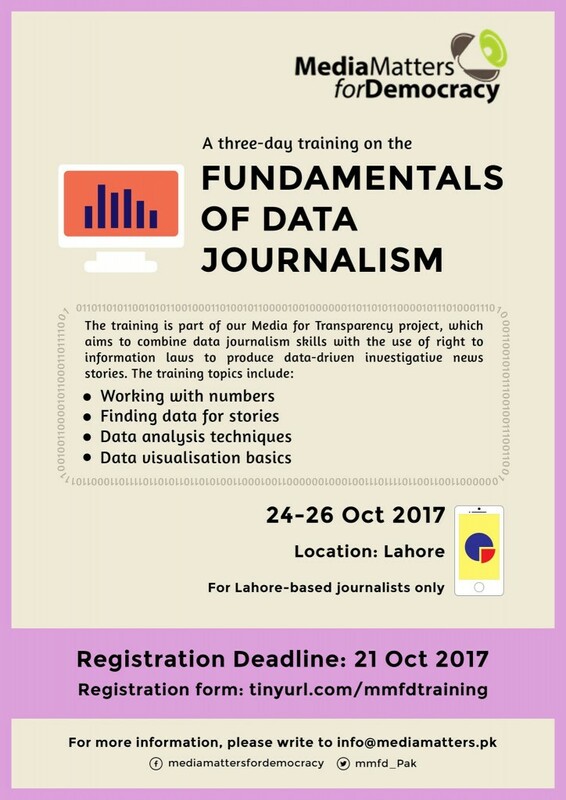 The course is designed for journalists to be able to identify data components in a story, be able to crunch the figures and use basic visualisations techniques to bring ‘tell the story’ in the most effective ways. We encourage all journalists based in Peshawar, Islamabad, Lahore and Karachi to apply for this course. There is no limitation of language. Applications from both English and Urdu language journalists will be entertained. We have limited seats. Please apply before the deadline if you want to take part in this course.